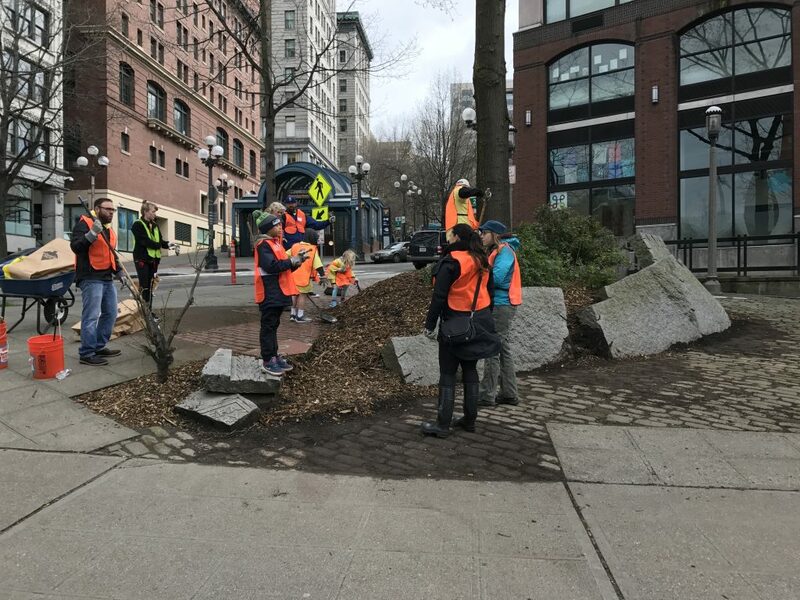 Seattle’s downtown neighborhood Pioneer Square has a fresh look thanks in part to the RealSelf local giving team. 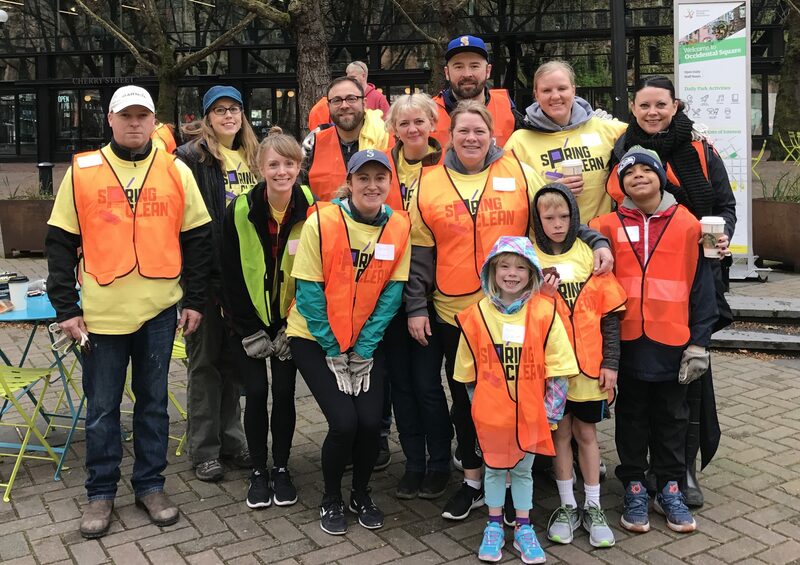 RealSelf team members, along with a few of their family members and friends, participated in the 2017 Pioneer Square Spring Clean on April 8. 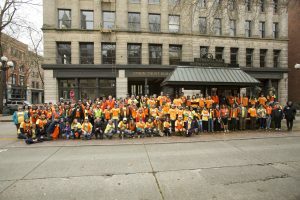 Over 100 volunteers, many from other companies in the area, participated. The group spent a Saturday morning cleaning and restoring the neighborhood. They picked up bottles, broken glass, and other trash. They also cleaned the sidewalk and put down fresh bark in the flower beds. 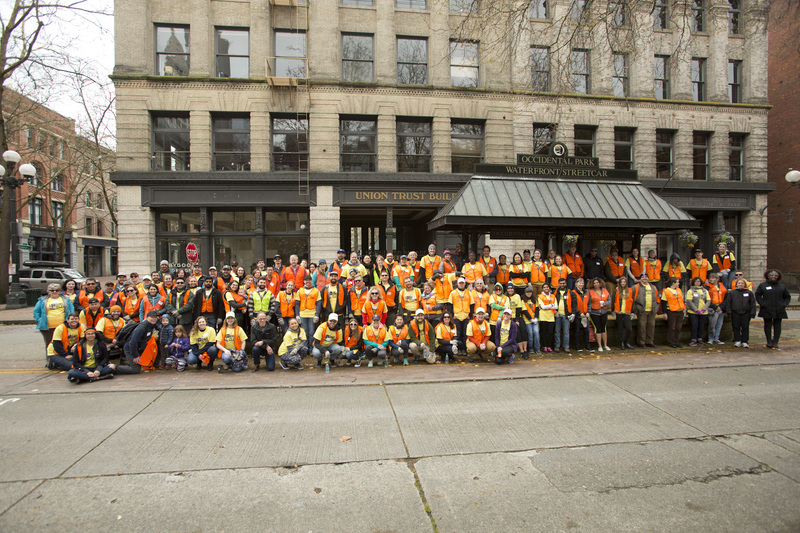 The Alliance for Pioneer Square hosts the the Pioneer Square Spring Clean every year. This is the first time RealSelf participated, as we wanted to make an impact on the area we work in every day. Later this month, RealSelf’s local giving team will be back in action during National Volunteer Week by helping prepare groceries for the Food Lifeline Hunger Solution Center. We’re hiring! To learn more about life at RealSelf, apply today.